Today I'm wearing Avon Color Trend Fashion Nail Enamel in Grape Gelato. The Color Trend Fashion nail enamels are an affordable range, during C12 - C13 only £1.50 each. The fashionable range includes new shades, a selection of bright, fun colours. 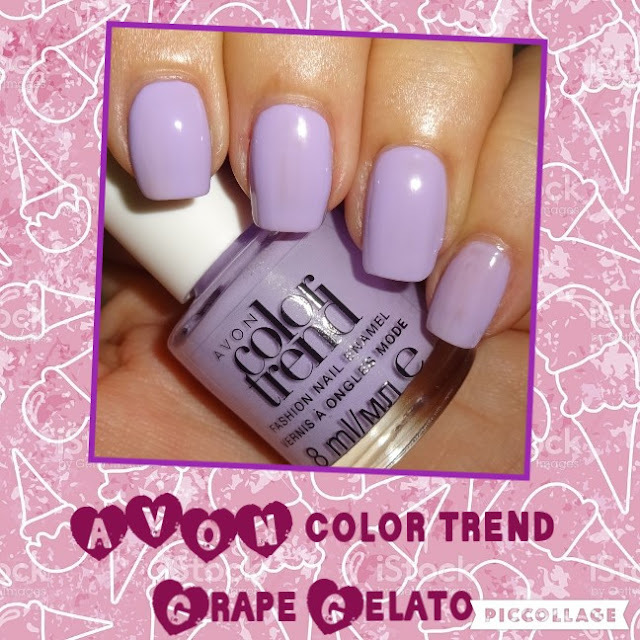 Grape Gelato is a gorgeous lilac, a pretty pastel that's perfect for Summer nails. The Color Trend Fashion nail enamels have a glossy finish, all photos are without top coat, and are chip resistant. They come in bright pink & orange packaging and are 8ml.